The phone keeps ringing this morning at the LetsGoDigital editorial office. This time it was Michael, from Mobiel Kopen. As soon as he calls, we know work is coming our way. It was no different this time. Michael discovered a new entry in the GFXBench benchmark of the Samsung SM-G571. We are not certain what model this will be. But as the Galaxy J5 Prime has model number SM-G570, it seems to be the successor of the J5 Prime 2016. The new Galaxy device runs on Android 7.1.1. Nougat and features a 4.8″ HD display. The Galaxy J5 Prime 2018 gets powered by a 1.4Ghz quad-core Exynos 7570 processor with 3GB RAM. In addition, the phone comes with 32GB internal memory. 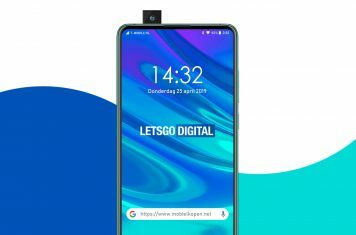 The GFXBench test results further show the mobile handset features a 12 megapixel camera with Full HD video functionality, autofocus, face recognition, touch focus and a flash. HDR is not supported. 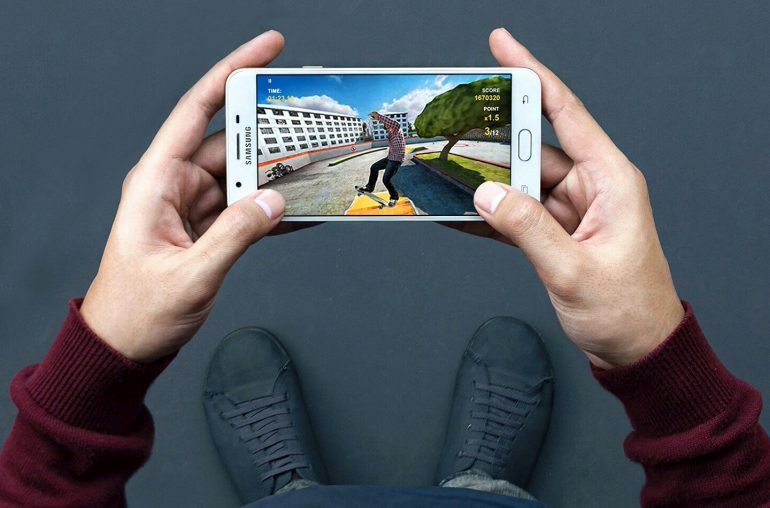 At the front the Android phone incorporates a 7 megapixel selfie-camera. 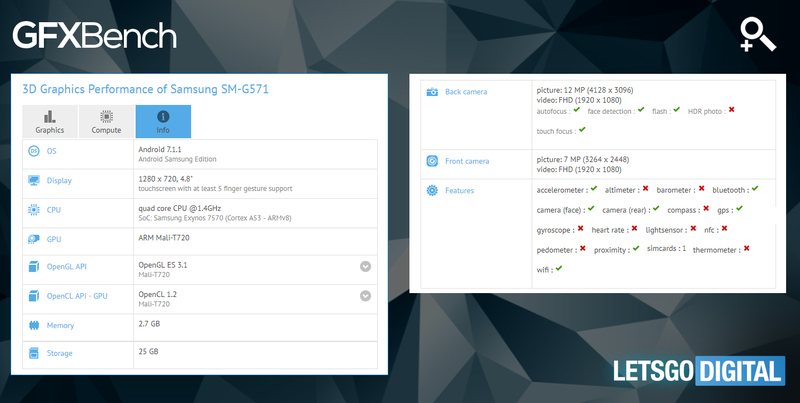 At this moment it is unclear when the new Galaxy J5 Prime SM-G571 will be released. One thing we do know for sure, Samsung is about to launch a whole bunch of new smartphones. Yesterday we reported about the Galaxy A7 2018, which we spotted on the official Samsung website. Today we came across another Galaxy smartphone, the Galaxy J2 Pro.